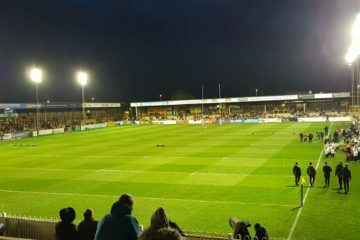 Ahead of the Jonny Lomax Testimonial match on Saturday 19th January (2pm kick off) – Hull FC are today’s club in focus, and our thanks go to supporter David Cass for giving a fans opinion on the upcoming season. I’ve supported Hull FC pretty much all my life really, with my earliest memory being going down to the Boulevard to watch us versus Salford. Although it was freezing and wet, I pretty much loved the sport straight away and have continued going back ever since. I attend all Hull FC home games and the occasional away game. A finish in 8th place for Hull FC last season, and a particularly poor run of form (Hull lost all 7 Super 8s games) at the end of the season. Can you sum up last season as a Hull fan? (Were you happy, frustrated, disappointed etc. and why) Where did the season go wrong? We finished 8th in Super League last season and before the season started I, along with pretty much every other Hull FC fan would have been disappointed, especially following two successful seasons winning back to back Challenge Cups and two Super League semi finals. However if you look at how we performed earlier in the 2018 season, we wasn’t that far off, we was in a strong position in the league challenging the top 4 and nearly knocked Saints out of the Challenge Cup with many first teamers missing! But after that it was injury after injury unfortunately and that pretty much ended our season. So making the eight was our target which we achieved. With over 10 players missing pretty much every week finishing in the eight was still impressive when looking at Warrington and Leeds over previous seasons. On paper Hull FC have a decent side, when the likes of Albert Kelly and Jake Connor are available – are you happy with the signings the club has made in the close season (both in and out)? Is there any other position you would look to strengthen? On paper we have a very strong squad. Our goal this season will be keeping them fit. In Sneyd, Kelly and Connor, as well as Miloudi and Harris, not many Super League teams have depth in the halves like we do. Add in Shaul, Tuimavave, Taylor, Manu and Westerman, we certainly have a team capable of winning trophies again in 2019. I feel we have recruited well, we have strengthened in a number of positions we struggled in with depth last season. Matty Dawson and Ratu Naugolo will bring strength and power to our wings, whilst Levy Nzoungou, Jordan Thompson and Danny Langtree will provide cover for some of our ageing forwards. I feel we are short of one prop but I still feel we may sign somebody before the season starts. Who should we be looking out for in a Hull FC shirt this year (and why)? There are a number of Hull FC players people should look out for in 2019. Especially the younger players. I think Masi Matongo and Jordan Lane will have big seasons, Bureta Faraimo will score plenty of tries again this year, but our stand out player has to be Jake Connor and although the opposition fans hate him, he is one of the stand out players in the competition and I can only imagine he is going to get even better. I wouldn’t quite say break into the first team this year as pretty much all our young players played Super League regularly last season due to injuries. However I imagine Masi Matongo and Jordan Lane will build from last season and I feel they will become regular names on Lee Radford’s team sheet. A player I feel could break into the first team could be Connor Wynne. An exciting pacey full back who has been promoted from the City of Hull Academy has impressed me and many others in pre-season and i’m sure he’ll take his opportunity if he gets one in 2019. 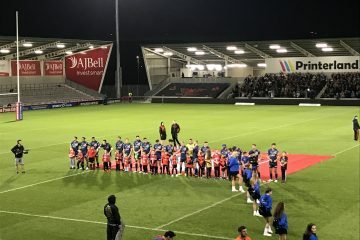 With the Super 8’s gone, I think this will improve the quality in Super League for the 2019 season. Realistically there is about 8 teams who can make the top 5 in Super League so this is bound to make the race for the play offs an exciting one. The top team will be actually rewarded for finishing top unlike previous seasons because they will be given a better chance to go on to Old Trafford. So personally I think scrapping the Super 8’s was a good idea and will benefit our competition. Although we are being written off already by opposition fans and the media, I actually feel with our best 17 on the field we can certainly make the Top 5 and then anything is possible from there. Why can’t we go one step further and get to the Grand Final? It’s certainly achievable. With regards to the cup, on our day we can beat anybody and 2016 and 2017 proved that. A club like Hull FC should be challenging for trophies every season and this year will be no different. I wouldn’t write us off bouncing back in 2019 and challenging for trophies again. St Helens are an outstanding team, losing Ben Barba is obviously a big blow, it would be for anybody. However the signings of Lachlan Coote and Kevin Naiqama are two of the best signings made by any team this season. 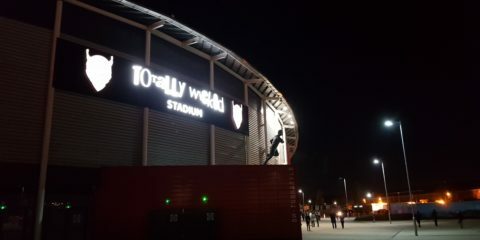 They will certainly strengthen the team, add to them, Makinson, Richardson, Walmsley, Thompson and Roby, I can’t see past the Saints finishing top in 2019 yet again. As always, when we face Saints I always look out for Tommy Makinson, he always seems to up his game against us. Along with Alex Walmsley and Luke Thompson, the winner of the Steve Prescott Trophy will certainly be a tough one to call this season!